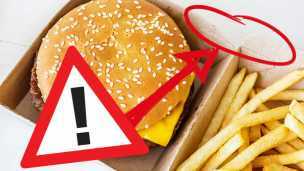 Hey Buddy!, I found this information for you: "Alert: Hazardous Chemicals Found In Fast Food Wrappers". Here is the website link: https://www.thealternativedaily.com/hazardous-chemicals-in-fast-food-wrappers/. Thank you.